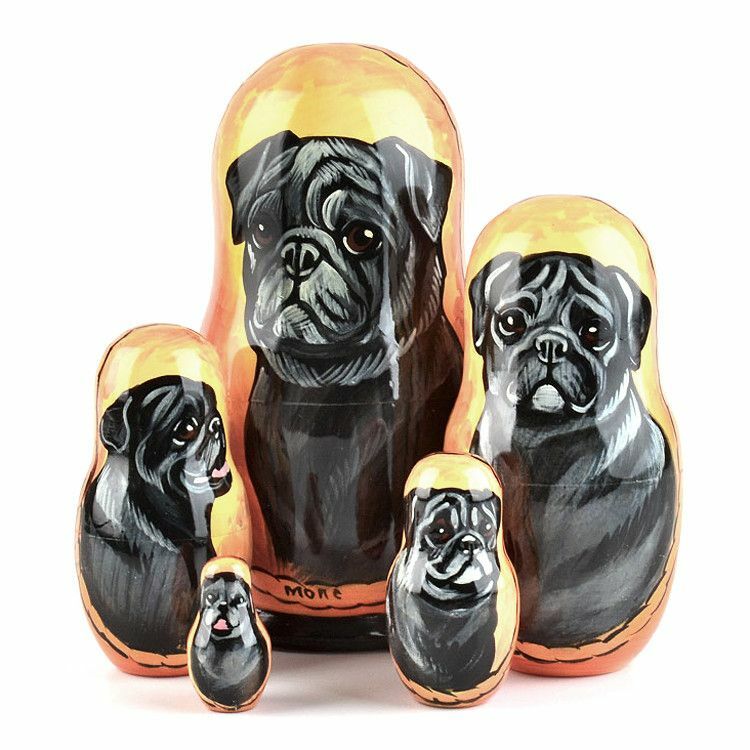 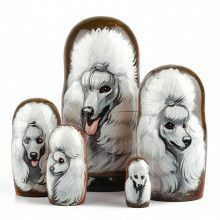 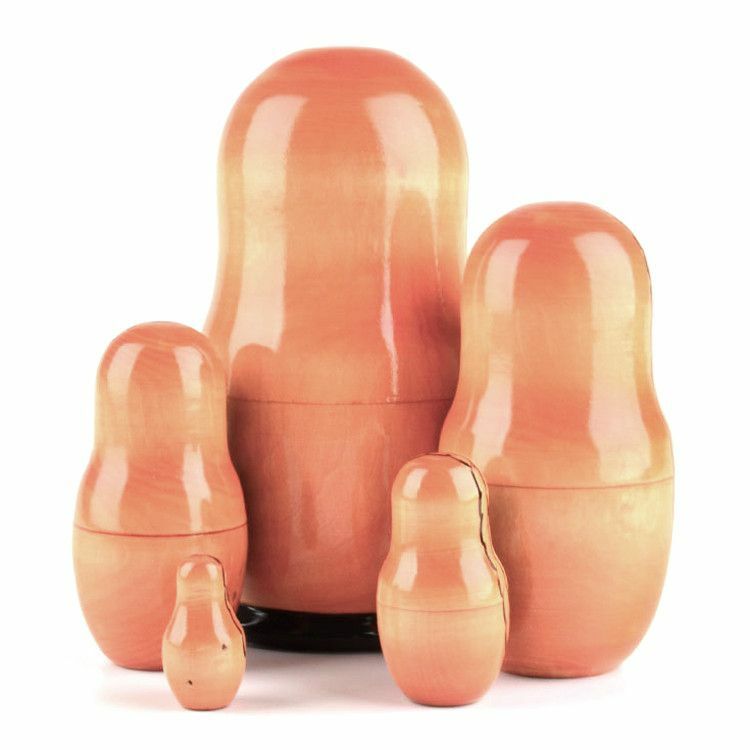 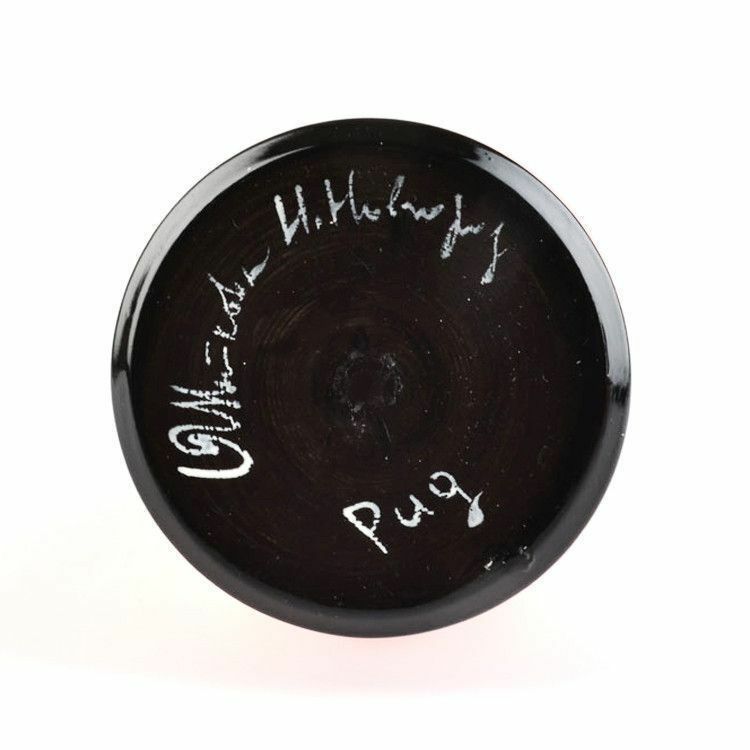 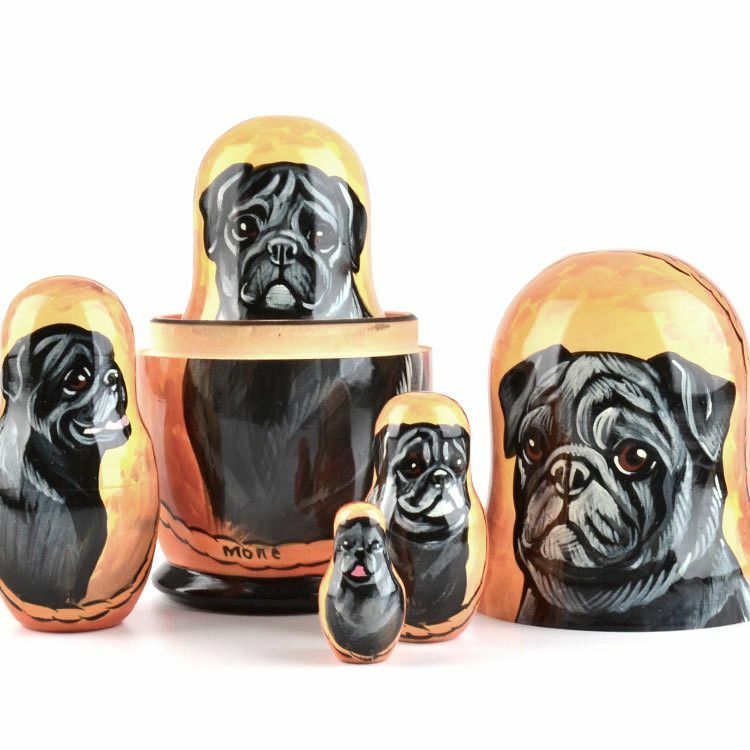 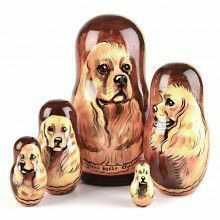 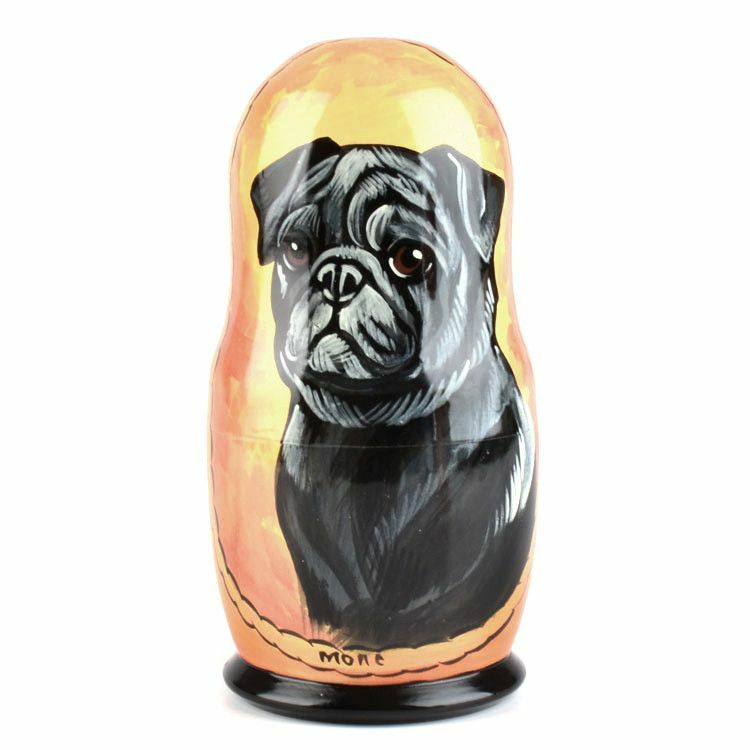 This black pug nesting doll is about 7" tall and it holds 4 smaller dolls, each with a depiction of a black pug dog on it, surrounded by a golden border. 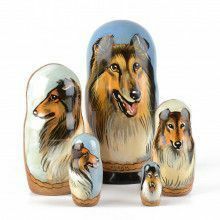 Makes a cute home decoration and a fun conversation piece. 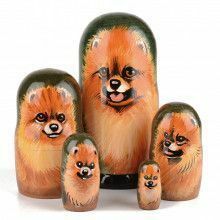 This hand-crafted doll was made in Russia, has been gloss-finished, and is signed by the artist on the bottom.